You’ve got the whole family in tow. That’s right! It is an old fashioned family vacation. One that you have been plotting and planning for ages. For months, you have been dreaming of that amazing Australian getaway. It is almost here. The only thing left to do is complete your itinerary. What will you see? What will you do? Where will you go? Ideally, you want activities that everyone will enjoy. Regardless of their age group or gender. Don’t worry. These family friendly activities are exactly what you need for your trip to Melbourne, Australia. There is one attraction that just about every person ever loves. An aquarium. Thankfully, there is an incredible one located right in Melbourne. The Sea Life Melbourne Aquarium is made up of four different levels. From the rainforest to penguins, and coral caves, there is a ton to see and do here. The aquarium is also the home to grey nurse sharks. The little ones will love to learn more about this endangered species. 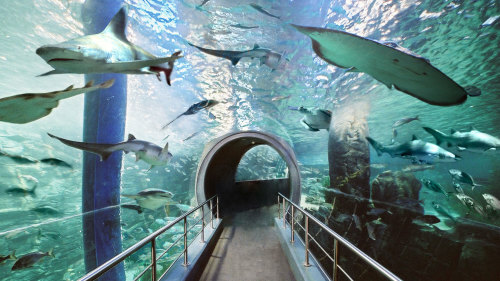 To get to the aquarium? Just use a car hire Melbourne. You will reach your family friendly destination in no time. Who could possibly resist a trip to the zoo? The Melbourne Zoo, at that! This is no ordinary place to check out animals. There are more than 320 animal species from around the world. Popular exhibits include: the butterfly house, Asian elephants, the lion park, and small cat alley. To name just a few! Bring your camera (and the whole family) to this incredible attraction. Absolutely everyone will enjoy spending a day here. You want to see as much of Melbourne as possible. Right? Then why not take a ride on The Melbourne Star? This is a massive Ferris wheel located in the Docklands area. 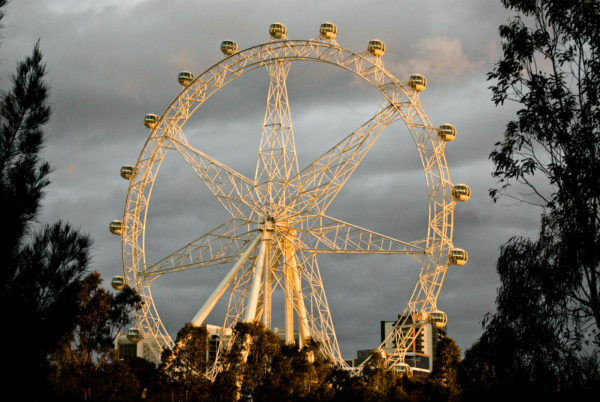 The observation wheel is over 120 metres tall – and gives riders the chance to check out the city in a fun and unique way. One full ride takes about thirty minutes. That makes this activity the perfect add on to your vacation! If theme parks are your thing…then you will want to spend a little time at Melbourne’s Luna Park. This amusement park dates all the way back to 1912. Today? Visitors can check out the many rides (like the Scenic Railway, Ghost Train, Coney Drop, and Luna Freeze), grab something to eat, or check out the nearby beachfront. There really is something for everyone to enjoy. Make sure this beloved attraction is on your to do list. There are many incredible aspects of an Australian vacation. Like all of the breathtaking animals! In Healesville (not far from Melbourne) there is the Healesville Sanctuary. This is a special kind of zoo that focuses entirely on animals native to Australia. Pretty amazing! That gives you and your family the chance to discover more about the area, its history, and the beautiful animals that call it home. Who knows? This sanctuary might wind up being the highlight of your unforgettable Melbourne vacation. Be sure to check it out during your stay!